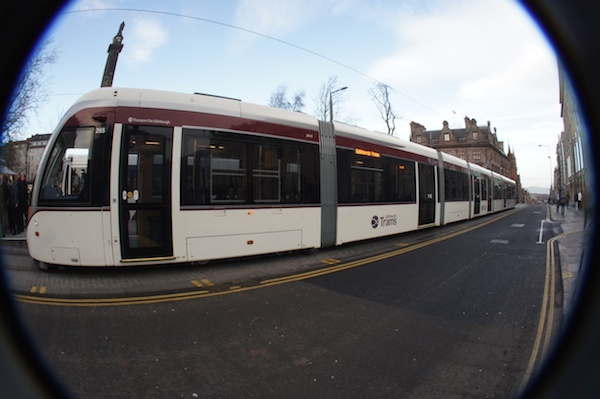 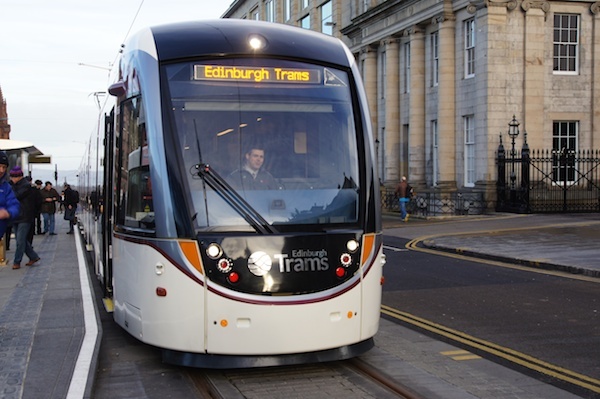 The tram now standing at St Andrew Square is all painted up and ready to go…. 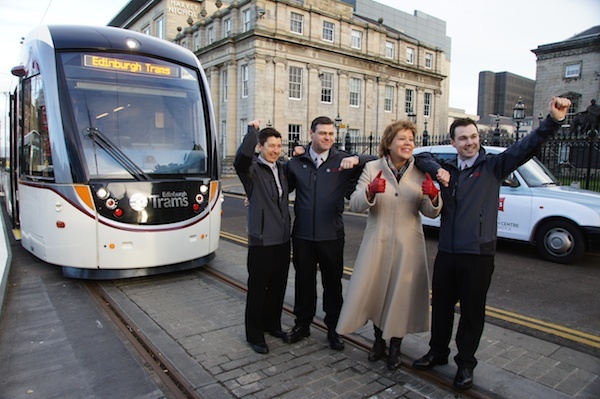 The newly liveried tram was at St Andrew Square this morning along with front line staff wearing their uniforms to mark the launch of Transport for Edinburgh brand. 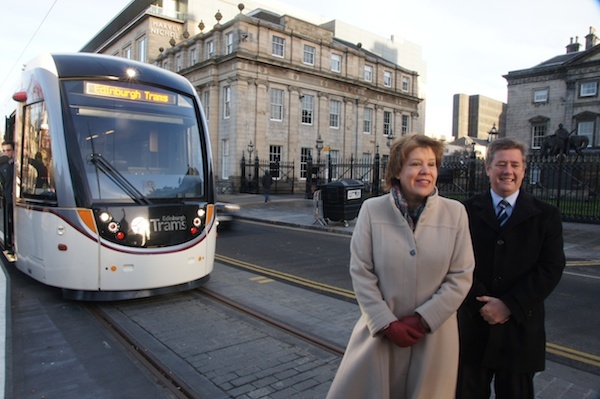 Today also marks the formal handover of the section of track between the Gogar Depot to Edinburgh Park Station from contractors to the Council.